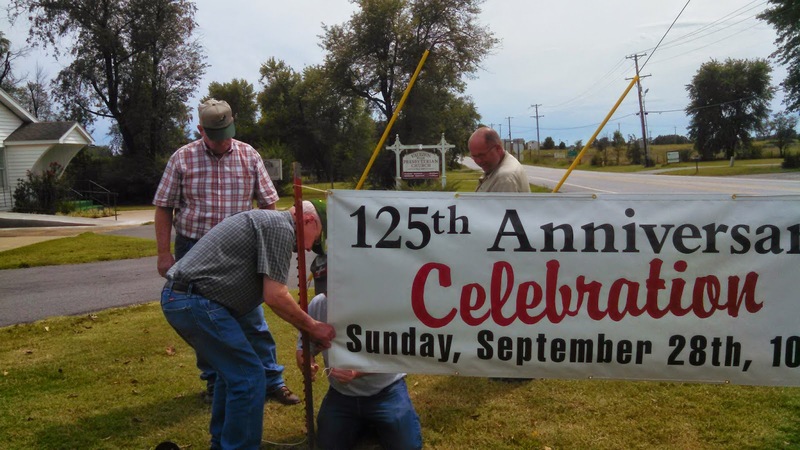 Committee work isn't always fun but for the last few months, I've enjoyed meeting with other members of the Vaughn Presbyterian Church to plan a special celebration day for the 125th anniversary of the church. A highlight for this week's meeting was to display a banner in front of the church to invite the community to celebrate with us on September 28th. I'm thankful for the dedicated members of the Vaughn Presbyterian Church!